Are you a passionate hunter whose ultimate goals are accuracy and precision? 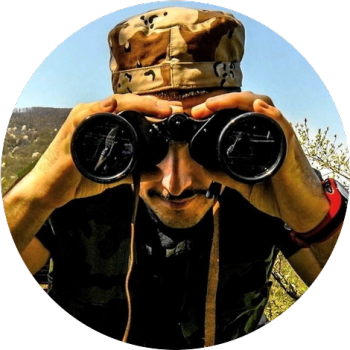 However, this can only be possible if you have the right magnifying device that is mounted on your weapon to enhance your chances of hitting the target. Now you don’t have to worry about that anymore as Barnett 4×32 Crossbow Scope is accurate enough and allows both beginners and experts to work on their skills. 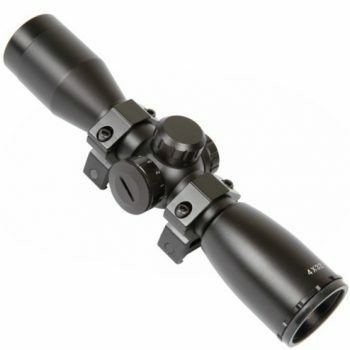 Knowledge about key features of scopes can help you choose the ideal one that will suit your intended purposes and this review of the Barnett 4×32 scope is designed to explore in detail its key specifications that can help you make quality decisions. However, there are also other products on the market that match the features of this scope. Thus, a brief analysis of the products offered by the competitors is also meant to help you gain knowledge that can be helpful in decision making when you intend to buy the product. This is often a challenge to many people if they lack product knowledge. Accuracy is crucial especially when aiming at a moving target. 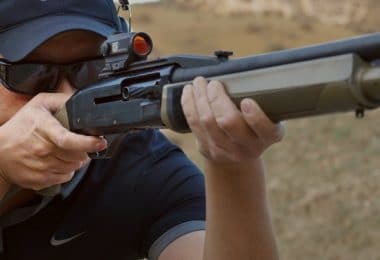 It is important that you should have a powerful magnifying device like the Barnett 4×32 scope that also enhances your precision since it gives you a clear sight of a moving target. Essentially, this device has been carefully designed to fit different types of weapons which makes it perfect for shooting purposes. 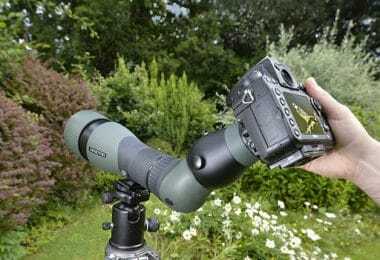 The 4x magnification is great for medium-range shooting and the 32 mm lens diameter works for dim light viewing. The reticle is great, it’s a crosshair that’s also five-point programmed, amazing for target acquisition. 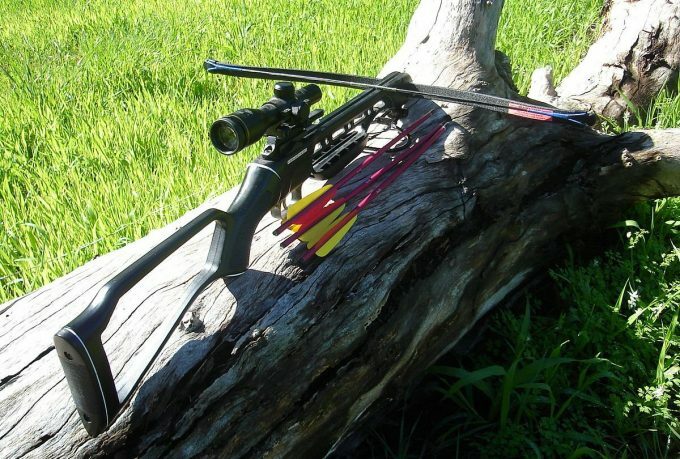 And don’t forget the wide compatibility with Barnett crossbows, as well as a sturdy design. The packaging of the scope includes a water-resistant carry case. This is designed to protect the scope from damage as you go about your different tasks. Other components included in the packaging include dovetail mountain rings. The mounting rings are designed in such a way that you can easily mount your scope on the gun. Once you have mounted the scope, you can also adjust it to the desired angle to achieve the best level of accuracy. The scope is made of water-resistant material and this gives you the opportunity to use it even in rainy conditions. This also means that the interior of your device is not easily damaged as a result of negative weather conditions. The other thing that makes our scope outstanding is that it is made of shock-proof material. The scope is protected even in rough terrain which helps give it a long life. The lenses are also coated with a durable material that can resist negative weather conditions and they do not easily scratch. 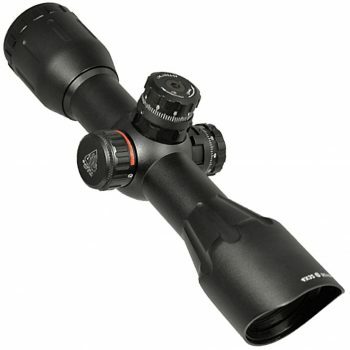 In order to enhance good positioning, the scope comes with 0.875-inch dovetail mounting rings. These are adjustable to suit your desired sight for the target. We often have different sight preferences and the mounting rings are specifically intended to help you focus your device in a position where maximum results can be achieved in terms of precision. The Barnett 4×32 scope is five-point programmed to give you a high degree of accuracy. Depending on your target, it can be seen that this five-point facility is designed to help you position the sight of your lenses in such a way that your level of accuracy is increased. Once you adjust your sight to a particular level, this can be maintained regardless of the number of shots. The position is firmly maintained once set and it can be controlled to different levels. Each level is designed to give you the best sight of your desired target. The other outstanding feature about our scope is that it is characterized by a multi-reticle crosshair system for rapid target acquisition. 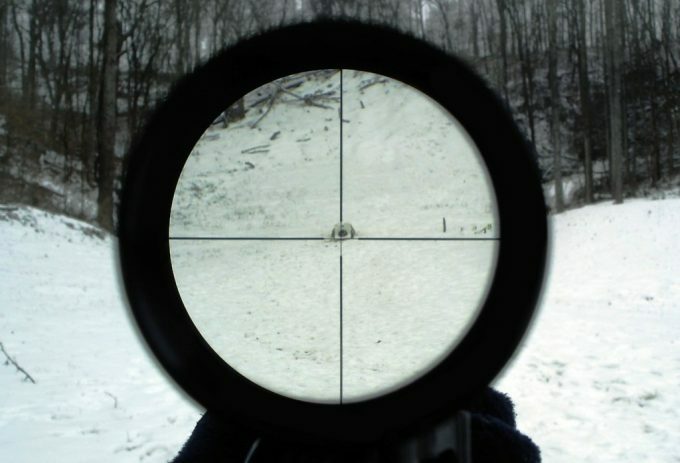 In just a single breath, the sight of the target is usually lost but the multi-reticle crosshair system makes the scope the best above the rest in terms of rapid target acquisition. 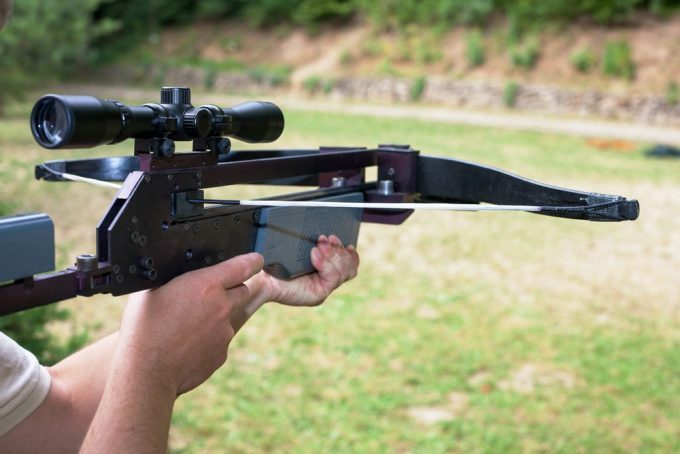 This system helps you be focused on the spot despite the movement of the target. There are high chances of hitting the target with a single shot since this system is designed to give you a high degree of accuracy. In other words, the system is very effective in helping relieve eye stress as you try to focus on your target. The magnification scope gives you a wide and clear view of your target. This helps enhance the level of accuracy when you are aiming at your target. The target can also be acquired in different environments since the lenses allow clear transmission of light thanks to the 32 mm lens diameter. The other advantage of the lenses is that they can be adjustable and this helps you get a clear vision of your target depending on the distance that exists between the two of you. You can either zoom your lenses out or in so that you can have a clear vision of the target. 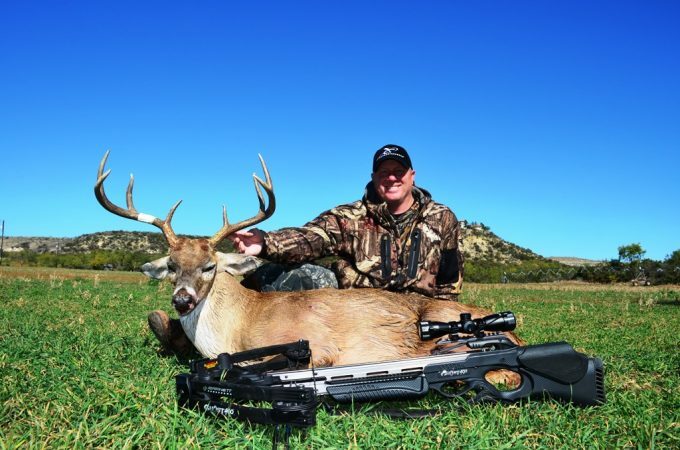 The other major advantage of the Barnett 4×32 scope is that it is compatible with full-sized crossbows in the company’s line. This means that the scope can be used with any type of crossbow that is offered along the company’s line of similar market offerings. The other notable aspect of the device is that it is portable. Being a hunter, you move between different places and a load of your hunting devices should not be a burden to you. The Barnet scope is just ideal for the purpose. It is also advantageous in that it is easy to mount on your gun and it is also simple to operate. Our product comes with a user guide manual with simple instructions that are easy to follow. It is also designed in such a way that you can easily dismantle it for cleaning so that you can get the best results from its use. The other issue is that the Barnett 4×32 is compatible with different weapons that range from short guns to large hunting rifles. The magnifying device has been designed in such a way that it fits on all types of guns regardless of their size. This is an added advantage since you do need different types of scopes for specific guns. Our scope gives you the real deal since it can satisfy all your desires in one component. 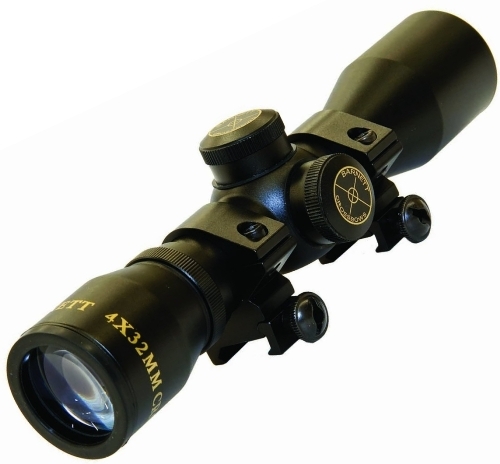 Apart from the key specifications of the scope, it can also be noted that the Barnett 4×32 scope is relatively affordable. The price ranges from about $55 and it also includes free shipping. We are aware that you are interested in comparing the price of the product and its key specifications to see if they complement each other. Essentially, we are hopeful that our product will satisfy your needs. 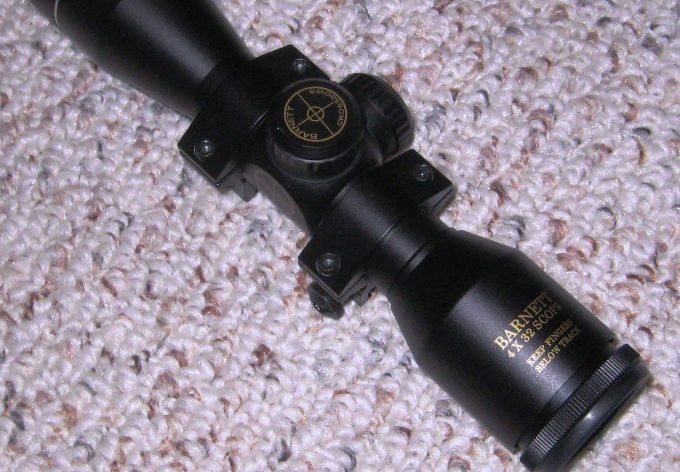 One aspect you should understand is that the Barnett 4×32 scope has a limited lifetime warranty from the manufacturer. However, this can be attributed to the fact that quality is guaranteed when this magnifying device is manufactured. The key specifications of our product bear testimony that it is of high quality and you are likely to find it worth the value for your money. It should also be noted that there are other competitors that offer similar products that can substitute our Barnett 4×32 crossbow scope. Indeed, you should have alternative information about similar products so that you can make informed decisions to buy the right scope that will satisfy your needs. This is very important since you can be in a better position to make comparisons among different products offered by the other competitors. The following is a list of similar products that are offered by our competitors and it is our hope that you might find the information enlightening as you compare our own product with theirs. The UTG 4X32 1-inch Crossbow Scope is characterized by a one-inch tube, wide angle and it is also built on TS Platform. The scope also has by Pro 5-step Reticle, that is meant for adjusting the angle so that you can have a clear sight of the target. However, unlike the Barnett 4X32 scope, this device is not programmable, and target acquisition can be obscured. The RGB side wheel illumination is another component of the scope that is meant for its adjustment so that it can be fixed in the desired position for maximum results in terms of resolution. The reset, as well as the locking knobs, are designed to keep the scope in position when you are shooting at a specific target. The scope is characterized by broadband lens coating and it is also complete with flip-open lens caps as well as UTG QD Rings. The caps are specifically meant to protect the lens from being scratched when they are not in use. We love the coating on the lens which is also meant to protect them against getting into contact with moist and other negative elements that can affect their functionality. On the other hand, the QD rings are meant for positioning purposes of the scope on the gun. The price is approximately $70 and it is comparatively higher than the Barnett 4×32 scope. Our product preview above shows that it is worth the value for money since it has outstanding specifications compared to this one. The SA Sports 4 x 32 Illuminated Multi-Reticle 550 Crossbow Scope is comprised of thump stud and Spiders Trademark Round Hole. These features clearly distinguish the scope from other similar market offerings. The G-10 scales, polished with brushed stainless bolsters are other specifications of the scope that distinguish it from other products. However, stainless bolsters reflect a lot of light and this can impact on the performance of the scope. The scope also showcases features like a hollow ground CPM S30V Blade. In terms of cost, it can be noted that the price of this scope is approximately $60 and shipping usually takes between three and five days. The price is not very different from the Barnett’s but the major notable aspect you should consider pertains to product specifications. Indeed, we are convinced that our main product is comprised of features that make it attractive compared to this one. In a product, you should consider the benefits that you are likely to derive from using it. The Truglo 4X32 Crossbow Scope is characterized by quite a number of features that make it a potential substitute of Barnett 4×32 scope. Though it does not have the great reticle, it is comprised of special range finding lens with wide coverage. The lenses are also fully coated and they provide a good level of brightness. The rubberized eye guard coverage of four inches also give a clear sight of the target from different angles. The other notable feature of this particular scope is that it is comprised of both elevation adjustment and fingertip winding knobs. These are meant for angle adjustment so that a clear sight of the target can be achieved from different angles. The adjustment facility is meant to improve the level of accuracy. This scope is highly durable in all regards. The leaf spring for winding and adjustment of elevation are durable such that there are no fears of damaging the device when operating it. The other issue is that Truglo scope is made of scratch resistant and non-reflective matte finish. It is also comprised of a single tube that is made of quality aluminum that is used for aircraft. This entails that both the exterior and interior parts of the scope are very strong and they can withstand negative elements such as weather that can be destructive. This Truglo Crossbow scope probably shares quite a number of similarities with the Barnett 4×32 scope. For instance, it is durable and it also has a limited lifetime warranty. It can be noted that quality is guaranteed in both scopes. 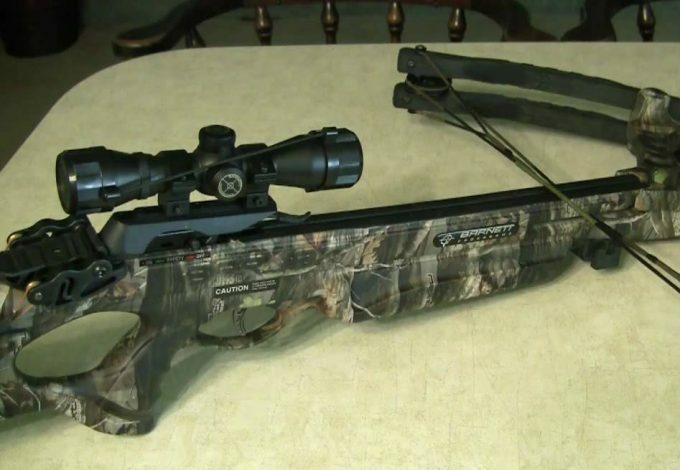 However, the new Truglo Crossbow Scope costs approximately $84 and this is higher than the Barnett 4×32 scope. Since all features are more or less the same, the price can be used as a distinction for making a choice. 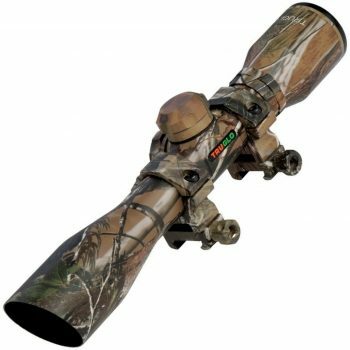 The Barnett 4×32 scope is your ultimate choice if you are an ardent lover of recreational activities such as hunting expeditions as well as shooting competitions. Overall, it can be observed that there are many advantages that can be derived from using our scope over the other devices that are offered by the competitors. Firstly, it is lightweight and this implies that it can be easily carried to different places. Obviously, as a hunter, you would not be comfortable carrying a heavy load over rough terrains in some instances. 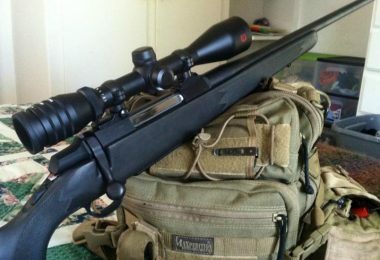 The Barnett 4×32 scope can be used on any rifle or shotgun. Its versatility makes it ideal for different shooting purposes. The coated lenses allow you to use the scope in moist conditions without affecting your sight.The Barnett 4×32 scope is five-point programmed to give you a high degree of accuracy. It gives you a wide field of view and it is characterized by a multi-reticle crosshair system for rapid target acquisition. With this system, it is rare to easily miss your target. The black matte finish also plays a pivotal role in protecting the scope from damage. The other advantage is that it does not reflect so you cannot be easily spotted in the event that you are in the jungle. It is our hope that you find the low price range and limited warranty of the Barnett Scope complementary. The scope showcases quite a number of extraordinary features that are designed to ensure that quality is guaranteed. Given such a scenario, we believe that the issue of unlimited warranty is substituted by the guaranteed quality of the Barnett 4×32 scope from the way it is manufactured. 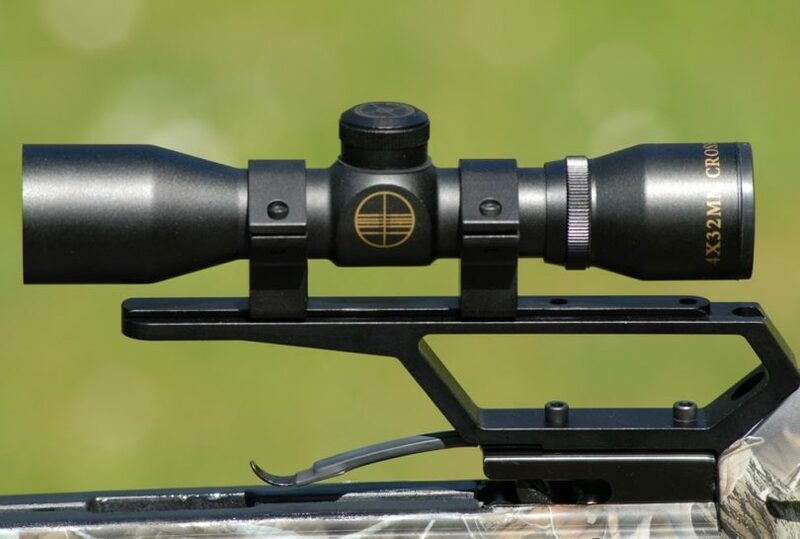 It is our hope that you find all the information in this review of paramount importance as you go about shopping your own Barnett 4×32 scope. We would also like to believe that you will gather as much information as possible about other similar product specifications since this helps you to make an informed decision before you purchase it. More importantly, make sure that you stay within your budget so that you can get the best scope. Barnett 4×32 scope with a multi-reticle that can easily be programmed up to five-points is perfect for all outdoor activities. It is designed to withstand recoil and is also shockproof and water-friendly which will save you money in the long run. It has an adjustable knob specifically designed for the elevation and windage and features 0.875-inch mount rings which makes mounting easy. All in all, this is an excellent scope that will meet all your needs and is definitely worth the price. Have you ever tried our product? If not, take the bold decision today to see for yourself what it offers. Alternatively, feel free to leave a comment if you have used our product before.